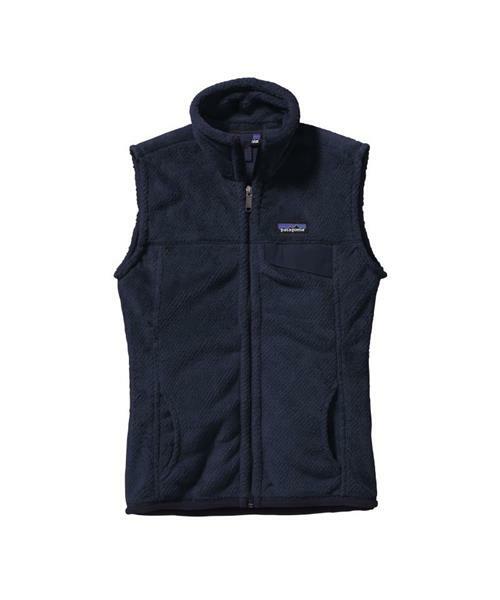 Whether forging pitons or designing the Re-Tool Vest, Patagonia has the same purpose: functional beauty with minimal impact. Made of lightweight, deep-pile Polartec® Thermal Pro® 100% polyester fleece (51% recycled), this long, lean, full-zip vest has princess seaming for a beautiful, contoured fit. The soft stand-up collar and brushed tricot-lined handwarmer pockets provide cozy warmth.